Fortune and glory, kid, fortune and glory. Steven Spielberg’s Indiana Jones and the Temple of Doom was released 30 years ago today. In honor of its three-decade anniversary of thrilling us (and grossing us out with monkey brains, ripped-out hearts, and black magic), here are 20 things you might not have known about the film. 1. The first ideas for Indy II came from Raiders of the Lost Ark. Two weeks after Raiders of the Lost Ark was released on June 1, 1981—and became an immediate success—director Steven Spielberg met with executive producer George Lucas to hash out ideas for a second installment. Lucas allegedly told Spielberg before Raiders was written that he had three story ideas for Indy, but Lucas was telling a little white lie—he had wanted to get Spielberg to sign on for potential sequels. So the first ideas Lucas presented for “Indy II” involved scenes that were cut from Raiders, including the mine car chase and the skydiving raft sequences. In Raiders, the mine car sequence would have taken place in the climax after the Ark is opened, and would have showed Indy and his companion, Marion Ravenwood, loading the Ark on a mine car to escape with the rest of the Nazis in pursuit. The raft sequence in Raiders would have taken place before Indy got to Nepal to meet Marion, and involved Indy using the raft as a parachute—except he would land in the snowy Himalayas and ride all the way down to Marion’s bar after the plane was sabotaged by the Nazis. Modified versions of both sequences ended up in Temple of Doom. 2. Other initial ideas were quickly discarded, but were still important. Initially, Spielberg wanted Indy’s love interest, Marion (played by Karen Allen), to come back for the second film; he wanted to feature her archeologist father, Abner Ravenwood, who was mentioned in Raiders. But Lucas and Spielberg ultimately decided that Indy’s companions should change from film to film, a nod to the ever-changing Bond girls in James Bond movies—a franchise that Spielberg originally wanted to be part of, until Lucas presented him with the idea of Indiana Jones in 1977—and Abner was left out. Lucas had other ideas that were pitched and discarded: One involved an opening sequence that featured Indy being chased on a motorcycle along the Great Wall of China. The Chinese government rejected the production’s request to shoot on the Great Wall, so the opening sequence location was rewritten as the Shanghai nightclub (which sharp-eyed fans will recognize as “Club Obi Wan”). 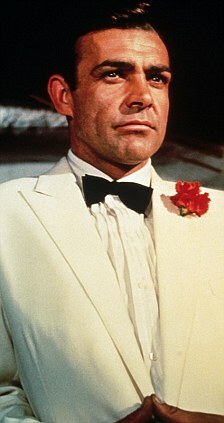 In another nod to James Bond, the scene features Indy in a white tux. Lucas also suggested that the second film take place in a haunted castle in Scotland, but Spielberg deemed the idea too similar to Poltergeist, the spooky 1982 horror film he wrote and produced while making E.T. The haunted castle was reworked into a demonic temple in India. 3. The thematic inspirations for the film were dark and very personal. With a proposed plot involving child slaves, human sacrifice, and evil cults, Indiana Jones and the Temple of Doom is decidedly darker in tone than its predecessor—and it was meant to be that way. Lucas wanted a downbeat mood similar to the one in his Star Wars sequel, The Empire Strikes Back. In retrospect, he and Spielberg attributed the extremely dark themes in Temple of Doom to their respective marriages that had broken up—Spielberg divorced actress Amy Irving and Lucas divorced film editor Marcia Lucas (née Griffin)—around the same time the movie was being developed. 4. The writers and filmmakers were inspired by classic Hollywood. After Kasdan passed on the film, Lucas approached Willard Huyck and Gloria Katz—the husband and wife team who co-wrote Lucas’ 1973 film American Graffiti—to pen the screenplay for “Indiana Jones and the Temple of Death,” later changed to Indiana Jones and the Temple of Doom. Once they accepted the offer and were privy to Lucas and Spielberg’s direction for Indy’s second installment, the duo took primary inspiration for the story from the 1939 RKO film Gunga Din starring Cary Grant and Douglas Fairbanks Jr. In that film, three British army adventurers combat a murderous cult called the Thuggee in colonial India. Later, when Spielberg and the screenwriters were having trouble coming up with an opening scene for the film, Lucas suggested they purloin a musical sequence for the opening from a script called Radioland Murders that he, Huyck, and Katz had been developing since the ‘70s (the film would eventually be released in 1994). According to Spielberg, "George's idea was to start the movie with a musical number. He wanted to do a Busby Berkeley dance number. At all our story meetings he would say, 'Hey, Steven, you always said you wanted to shoot musicals.' I thought, 'Yeah, that could be fun.'" The filmmakers molded their new female lead, the primadonna lounge singer Willie Scott, after Katharine Hepburn’s performance in director John Huston’s The African Queen and Irene Dunne’s performance in Victor Fleming’s A Guy Named Joe (Spielberg would later remake this movie in 1989 and call it Always). For the humor in the famous dinner sequence, the filmmakers drew on Abbott & Costello and the series of films derived from The Thin Man. 5. In keeping with tradition, pets were an important part of the process. It's well documented that the inspiration for the “Indiana” in Indiana Jones’ name came from Lucas’ Alaskan Malamute (a fact that was cleverly made fun of at the end of the third installment of the series, Indiana Jones and the Last Crusade). But when coming up with the names for characters in Temple of Doom, other people wanted to honor their pets as well. Willie Scott’s name came from Spielberg’s Cocker Spaniel Willie, while Short Round came from the name of Huyck’s Shetland Sheepdog—which was, in turn, named after a Korean orphan character in Samuel Fuller’s gritty 1951 Korean War film, The Steel Helmet. Not all the names of the characters came from pets, however: The evil Thuggee priest “Mola Ram” is named after the 18th century Indian painter Mola Ram. 6. The actor who played Short Round was discovered by accident. Spielberg and casting director Mike Fenton were having trouble finding the right young actor for Short Round, so they put out an open casting call at an elementary school in Los Angeles and eventually found actor Ke Huy Quan ... but not directly. Quan’s mother brought in his older brother to read for the part of Short Round, but during the screen test the younger Ke began telling his brother what to do, which caught the eye of producers Kathleen Kennedy and Frank Marshall. They asked him to do his own taped audition for Spielberg. It was so good that they invited the youngster to audition with Indy himself, Harrison Ford. Because the young Vietnamese would-be actor couldn’t read English very well, Spielberg decided to let him improvise during the audition—similar to the way he found young Henry Thomas for E.T.—telling him to play cards with Ford and gradually realize he had been cheated. 7. Spielberg used miniatures for pre-visualization. For Raiders of the Lost Ark, Spielberg had many of the locations for the film’s more elaborate set pieces shrunk down to scale miniatures created by production designer Norman Reynolds so he could block out the shots before arriving on-set, allowing him to shoot fast and stay on budget for that film’s brisk three-month principal photography schedule. The strategy worked so well that he did it again on Temple of Doom. Reynolds couldn’t return for the Temple of Doom because he was working on another Lucas production, Return of the Jedi, so Spielberg and new production designer Elliott Scott holed up in the St. James Club hotel in London for the five-month pre-production period. With them were miniatures of most of the major sets, including the spiked room, the cave where the children mine for the mysterious Sankara Stones, and the titular temple, and together they decided on the correct angles to shoot from to expedite Temple of Doom’s four-month principal photography schedule. Other sequences, such as the mine car chase carted over from Raiders, weren’t pre-visualized with miniatures because the logistics would be settled while visual effects company ILM created the scene with Spielberg. 8. All of the film’s locations were found in India—and then they couldn’t shoot there. Producer Robert Watts and production designer Elliott Scott traveled to India to scout the interiors and exteriors for the film, which had a budget of $28 million. All of the exteriors—including the Maharajah’s palace, which was to be shot at an existing palace called Amer Fort—and most of the interiors—including the City Palace in Jaipur, which would also stand in for the Maharajah’s palace—were found fairly quickly. But the local government rejected their permits because they found the script to be offensive to Indian culture. Some deals were made: The production initially agreed to change the locations in the script to a principality on the border of India, and they wouldn’t use the word “maharajah.” But the Indian government balked and demanded final cut of the film in order to censor what they deemed unworthy, which forced Watts and Scott to pack up and leave. Later, the team decided to shoot certain exteriors in Kandy, a Sri Lankan city, while others—most importantly, the Maharajah’s palace—would be shot on the Paramount backlot and expanded using matte paintings. Further interiors, like the temple itself, would be constructed on soundstages at Elstree Studios in London. After its release, Temple of Doom was banned in India, but the ruling has since been rescinded. 9. Spielberg acted out the village shaman’s lines, and the actor repeated them right back. J.D. Nanayakkara, the non-actor who played the shaman who implores Indy to save the enslaved village children in Temple of Doom, spoke only Sinhalese—and therefore couldn’t learn his lines from an English script. Instead, Spielberg fed him the lines phrase by phrase in English, and Nanayakkara repeated them the best he could. He copied Spielberg so closely that he even mimed some of the hand motions the director was doing off camera, including running his hand over his eyes in reference to the darkness brought upon the village. 10. Kate Capshaw’s priceless dress was eaten by an elephant on-set. In part, Capshaw took the role to show off her singing and dancing expertise in the lavish opening number. She studied and rehearsed a solo tap dance routine with choreographer Danny Daniels for months before the shoot, but the red and gold sequined dress that costume designer Anthony Powell made especially for the film—which was sewn entirely with vintage period ‘20s and ‘30s sequins—was so form-fitting that Capshaw couldn’t physically tap dance in, and the solo routine was scrapped. Her hard work wasn't for nothing, though: Capsaw still sang the Cole Porter classic “Anything Goes” entirely in Mandarin. 11. The bugs grossed everybody out. For their second Indy movie, Spielberg and Lucas wanted to one-up the creepy-crawly Raiders scene with 10,000 snakes, and they did it with bugs. Lots of bugs. For the scene where the trio stumbles upon a cavern filled with countless insects on the way to the Temple of Doom, the production assembled 50,000 cockroaches and 30,000 beetles from nearby London bug farms. The earlier dinner scene that featured the characters reeling from an elaborate food spread with insects—among other gross-out faux delicacies—wasn’t as freaky to shoot. Though you couldn’t really tell onscreen, the group of beetles presented to the dinner guests on a platter were actually plastic, and the edible innards were custard. Similarly, the chilled monkey brains for dessert were made of custard with a raspberry sauce mixed in, and the eyes in the soup Willie attempts to eat were rubber eyes tacked to the bottom for Capshaw to stir up on cue. 12. The film features one of Spielberg’s personal favorite moments from his entire filmography. 13. 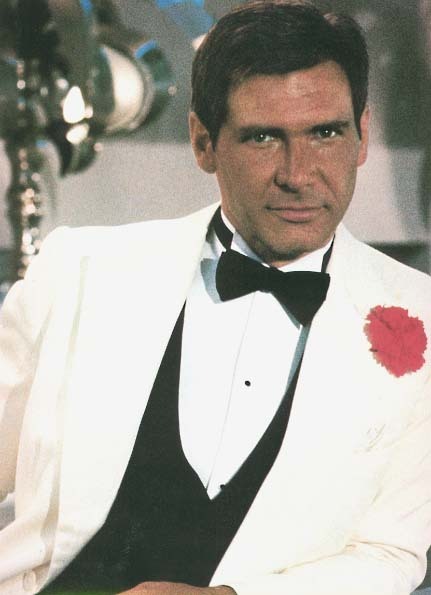 Harrison Ford was seriously injured on set, but the production soldiered on. During production in Sri Lanka, Harrison Ford aggravated a disc in his spine while riding on an elephant, but the actor decided it wasn’t major and continued filming. Back in London while shooting the scene where a Thuggee ambushes Indy in his room at the palace, Ford inadvertently fell backwards onto the stunt man and slipped the disc in his back. He was sidelined and had to return to the U.S. for emergency surgery, leaving the entire production without its star for weeks. Production immediately shut down for a week for insurance purposes, but the antsy Spielberg wanted to keep going. He convinced the Paramount brass that he could cleverly shoot around Ford to make up for lost time, so he used Ford’s stunt double Vic Armstrong—who bore a striking resemblance to the leading actor—to shoot the character from behind in the already-planned conveyor belt fight sequence between Indy and the main slave-master (played by Pat Roach, who also played the big Nazi mechanic Indy fights in Raiders). When Ford was fully recovered, Spielberg filmed the forward facing shots in the sequence, and the scene was seamlessly edited into the final cut with 80 percent Armstrong and 20 percent Ford. Spielberg was also able to shoot the dance scenes for the opening sequence that didn’t include Kate Capshaw while Ford was recuperating. 14. The raft parachute sequence was real. One of the major nitpicks about Temple of Doom over the years is that the scene where Indy, Willie, and Short Round leap out of a plane and use an inflatable raft as a parachute is overly absurd. What people don’t know is that the scene is real … kind of. No, stunt men didn’t really jump out of a plane with just a raft to get them safely onto the ground, but the practical effect itself is real. In the early ‘80s, Lucasfilm’s old San Anselmo location was near a raft manufacturer. Since the filmmakers were having a tough time figuring how to logistically pull off the stunt, producer Frank Marshall went over and challenged the manufacturer to come up with a way to have the parachute effect play out practically in a single shot for the movie. The raft makers rigged up a pull system that inflated once the weighted raft—including three life-size dummies standing in for the actors—was tossed from a plane. 15. And so was the bridge sequence. Location scouts had a bit of good luck when they found a spot 20 minutes outside of Kandy to shoot the rope bridge sequence for the climax of the film. A British company called Balfour Beatty was building a dam, which gave the production the perfect canyon. The company even helped them build the strong-but-unsturdy-looking rope bridge. In order to get the shot they needed—which involved Indy cutting the ropes to snap the bridge in half with people still on it—mechanical effects supervisor George Gibbs found a French company called Pyromecca, who specialized in pyrotechnic releases for space capsules, to help them devise a way to cut the cable on the rope bridge without sound or smoke from the release. To pull it off, they made cable cutters strong enough to go through 19-millimeter cables without a sound. Hidden inside the rope was an explosive mechanism with a high tensile steel chisel to split the cables on demand. To add to the realism of the shot, Spielberg had Gibbs build 16 mechanical dummies outfitted in Thuggee costumes that would wave their arms and kick their feet on cue once the main cables on the bridge snapped, sending them plummeting to the river below. Nine cameras were used to capture different angles for the shot that could only be done once. Luckily, it went off without a hitch. 16. The actor who played Mola Ram had a pretty busy schedule. 17. ILM used a little ingenuity and a trip to the supermarket for the FX in the mine car chase. Spielberg shot parts of the mine car chase sequence on a set that included a limited series of tracks in order to get close-ups of Harrison Ford, Kate Capshaw, and Ke Huy Quan. Other than that, the entire sequence was created by Visual Effects Supervisor Dennis Muren and his team at Industrial Light and Magic using miniatures. To get the tight shots of the racing mine cars, Muren devised a way to fix a Nikon still camera to the mini-rails behind models of Indy, Willie, and Short Round. Muren rigged the still camera with a small motor and a film magazine to run film through it (after all, this was the early ‘80s, and cameras like this couldn’t shoot video). To make the camera seem like it was rushing past at death-defying speeds, they used an old Hollywood trick and shot the film slowly at one frame-per-second, and eventually sped it back up during playback to the normal 24 frames-per-second. To create the rock formations of the cave, Muren and his team went to a nearby supermarket and bought as many rolls of aluminum foil as they could. They spray-painted the foil brown and molded each panel to look like a craggy cavern around the miniatures. It worked so well that audiences don’t know the difference. 18. The rough cut of 'Temple of Doom' was too fast. Most rough cuts of films are excessive in length and have to be carefully whittled down in the editing room, but when Spielberg first screened the complete rough cut of The Temple of Doom for Lucas, they both agreed that it was too short. According to the filmmakers, the rough cut’s run time of 1 hour and 55 minutes went by so quickly and was so action packed that—in their opinion—it wouldn’t give the audience time to breathe. 19. Ben Burtt went to Disneyland for the sound effects. Sound designer Ben Burtt has worked on every Indiana Jones movie and every Star Wars movie to date, and is responsible for some of the most iconic movie sounds ever, including the sound effects for the lightsaber. For Temple of Doom, Burtt and his sound mixer Gary Summers faced a tough challenge in coming up with adequate sound effects for the mine car sequence. To get the correct screeches and clangs from railcars, they were granted unprecedented access to Disneyland after hours and the two rode and recorded every roller coaster in the park, free from the normal white noise and omnipresent music that runs during the day. For additional sound effects—like the noises of insects in the bug scene—Burtt re-used the sounds of running his fingers through a cheese casserole made by his wife (which was used in Raiders as the sound of slithering snakes) and added the sounds of himself pulling the shells off of hard boiled eggs. 20. 'Temple of Doom' created the PG-13 rating. Think about this: a movie that includes a man pulling the still-beating heart out of another very-much-alive man who is then lowered into a searing pool of lava to die is rated a family-friendly PG by the Motion Picture Association of America. Parents and audience members alike were taken aback by the violence in Spielberg’s second Indiana Jones film, but the violence and horrific aspects weren’t enough to warrant an R rating (one that would cripple a film that relies so heavily on its targeted child demographic). Once a controversy about the violence in Temple of Doom and Gremlins (a film Spielberg executive produced) arose, Spielberg wrote to then-President of the MPAA Jack Valenti suggesting an in-between rating for movies of similar ilk. The director suggested four new potential examples, including “PG-13,” “PG-14,” “PG-2” or “R-13,” which would limit or allow certain audience members admittance between PG and R-rated films. Valenti soon enacted the new system, labeling director John Milius’ film Red Dawn with the first ever PG-13 rating. Additional Sources: Indiana Jones blu-ray special features; J.W. Rinzler, The Complete Making of Indiana Jones.